Devolution will only work if unionists and nationalists commit to a "real partnership" at Stormont, the SDLP leader has said. 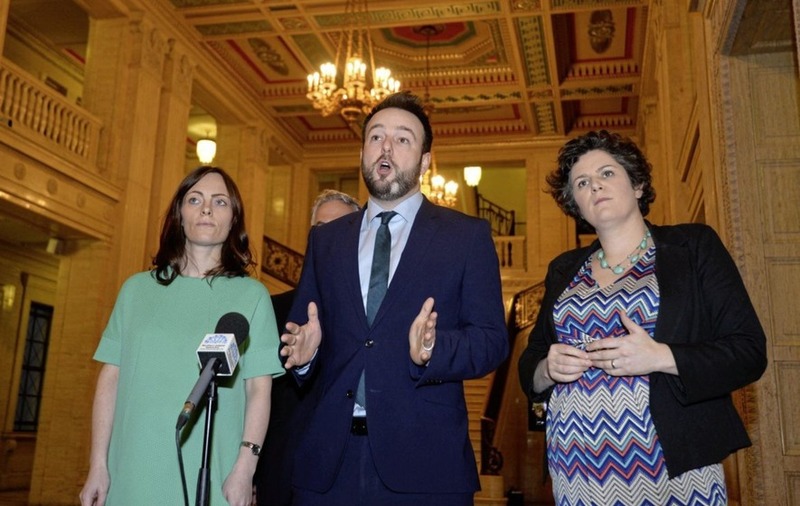 Launching his party's election campaign, Colum Eastwood urged voters to reject the DUP/Sinn Fein coalition that has governed for the last decade and instead give his party and the Ulster Unionists another chance to lead. The two parties that helped forge the 1998 Good Friday Agreement have developed an ever closer relationship since turning down junior roles in the last executive to take their places in Stormont's first official opposition. Mr Eastwood, who addressed the UUP conference last year, said he stood by his commitment to work with unionists for the better good. 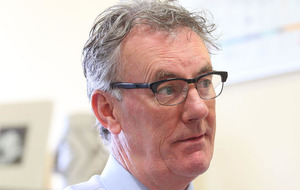 His comments came after UUP leader Mr Nesbitt, in a weekend interview, stressed the need for a genuine cross-community partnership approach at the heart of the devolved government. "This election is a chance to fix what has gone before," Mr Eastwood told party faithful at the launch event in the Discovery Centre at Oxford Island, Co Armagh. "It is a chance to fix the corruption and chaos that come to characterise our executive. "Fixing this place will require a return and a renewal of real partnership. "In this election there are many different futures on offer - but the only future worth knowing is one which chooses co-operation. "Difference doesn't have to mean division - it doesn't have to mean deadlock. 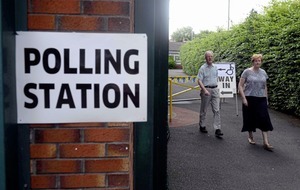 "In this election voters have a choice. "We are asking people to choose between two parties who have shown that they can't work together or take the chance to choose differently - choose those of us who have shown that we can work together. "Choose parties who want to work together for the common good." Mr Eastwood said he had been subjected to criticism for reaching out to the UUP. "I want to make clear today that no amount of criticism will change that commitment," he added. "I will stick by it and I stand by it. "We will co-operate, compromise and if given the opportunity we will share power. 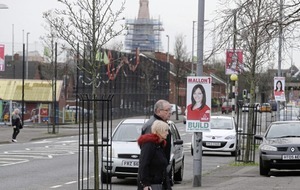 "The SDLP and the Ulster Unionist parties will work together to make Northern Ireland work. "The reason and logic behind that commitment is simple. "For all the history and all the hurt, the Irish political equation always returns to the same solution. "This place only works if nationalism and unionism works together." In his address, Mr Eastwood again lambasted the DUP's handling of the green energy scandal that precipitated Stormont's fall. He also criticised Sinn Fein's role in the renewable heat incentive (RHI) affair, accusing them of "sitting on their hands" while the £490 million overspend bill stacked up. "It is now one year since Sinn Fein knew about the true scale of the cash-for-ash scandal and its potential to cost our taxpayers' nearly half a billion pounds," he said. "Yet they sat on their hands until the media and the opposition raised questions." He added: "Therefore this is an election about a DUP party and its special advisers which ran government like their own plaything and a weak Sinn Fein party that let them away with it." 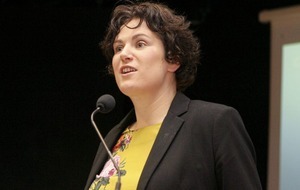 The Foyle candidate said the electorate faced a "clear choice" on March 2. "A choice between more of the same or the choice of partnership and progress," he said.